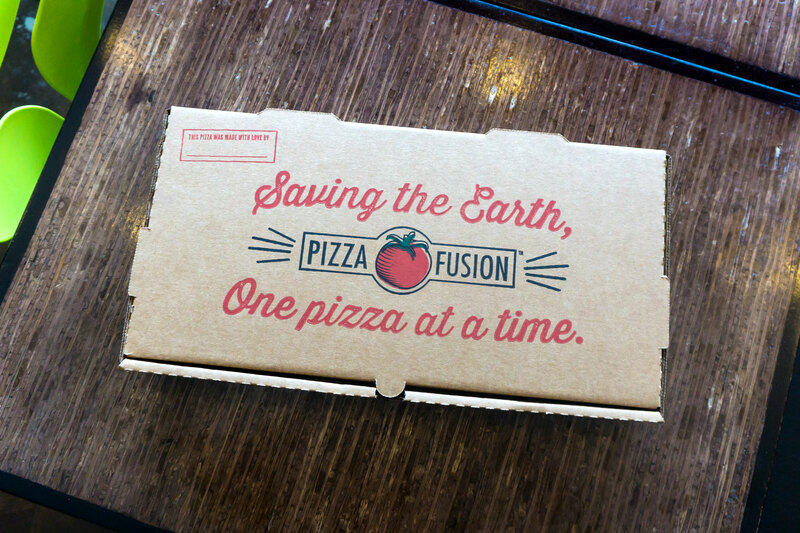 Saving the Earth, one pizza at a time. 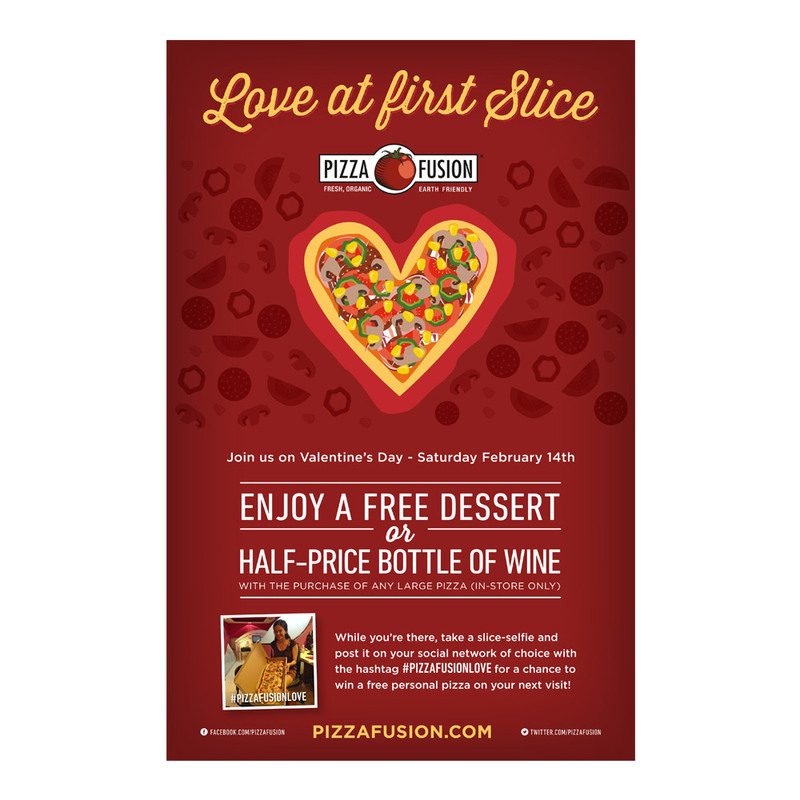 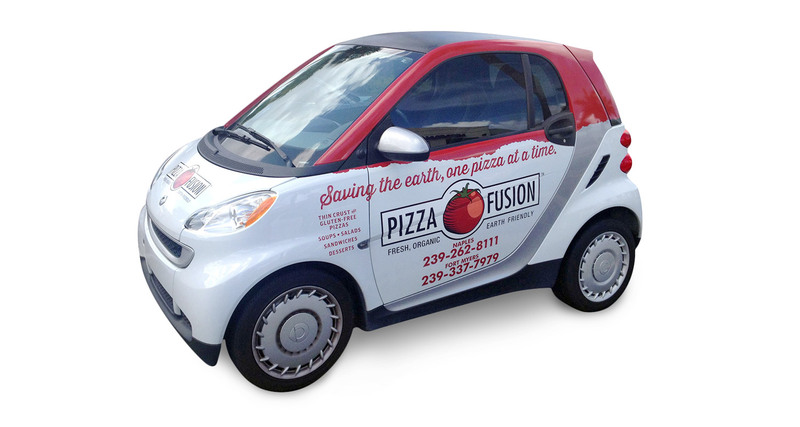 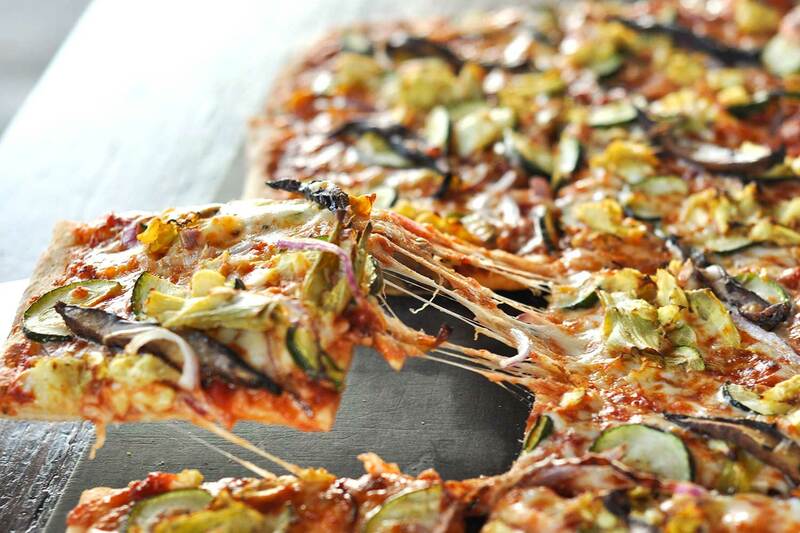 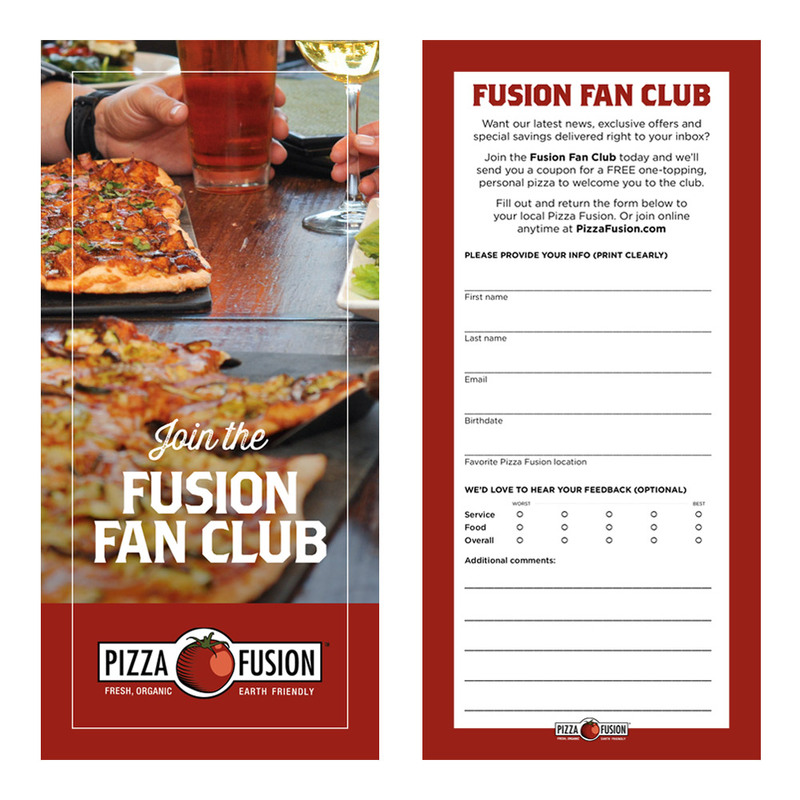 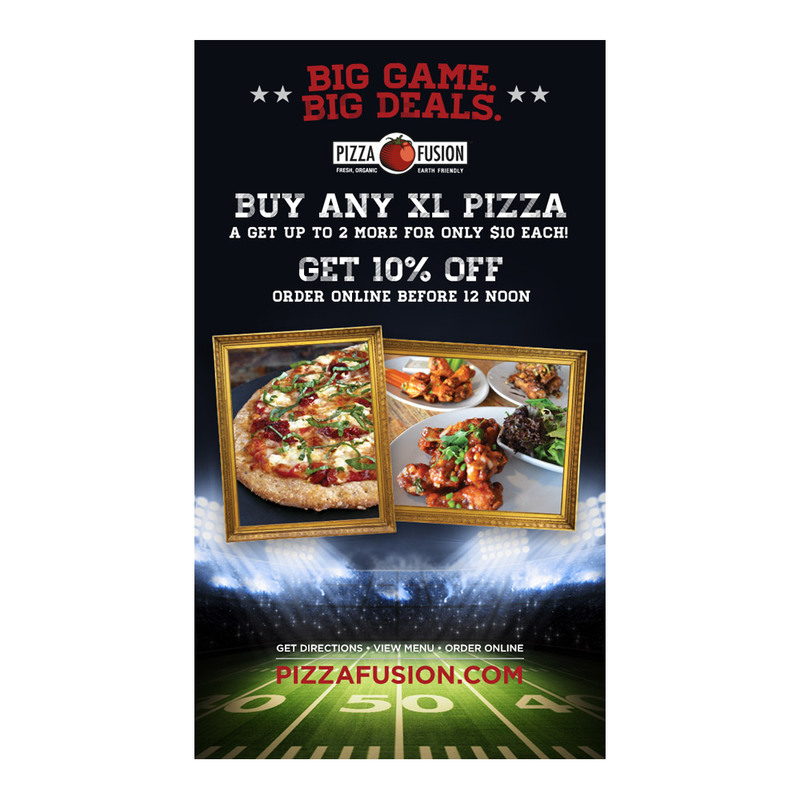 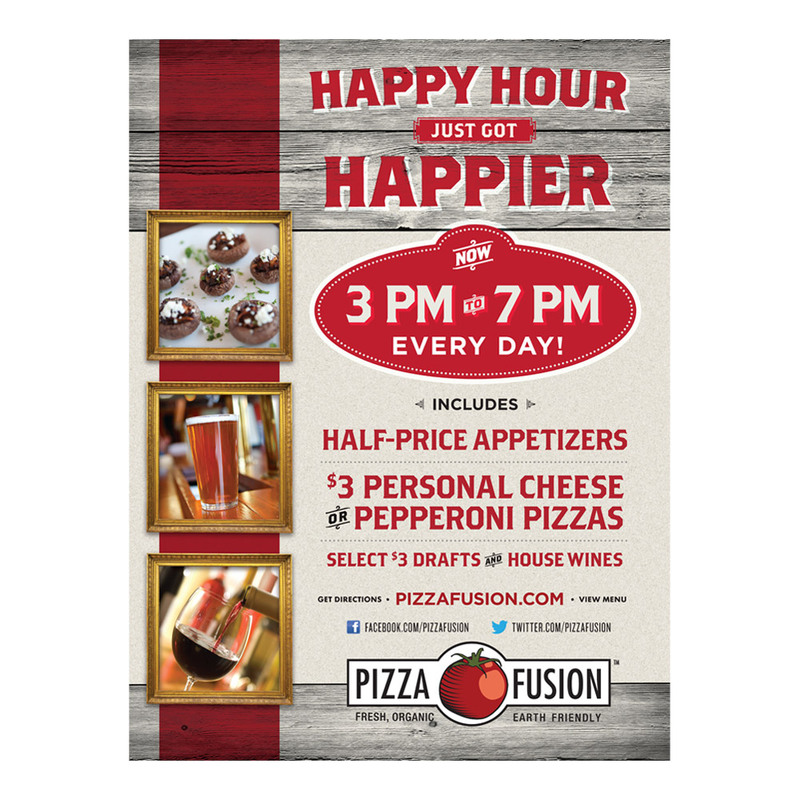 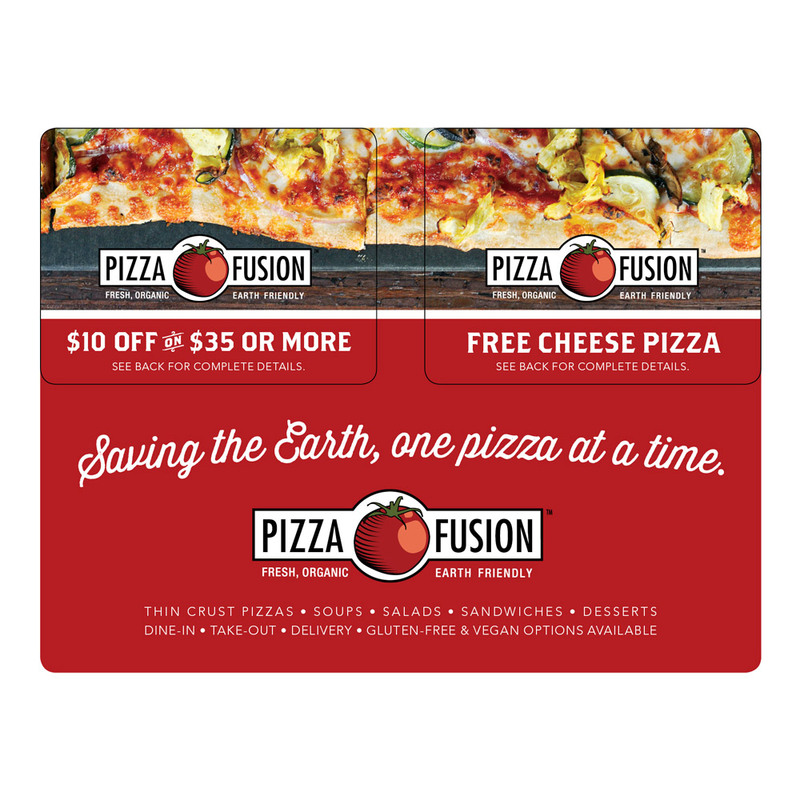 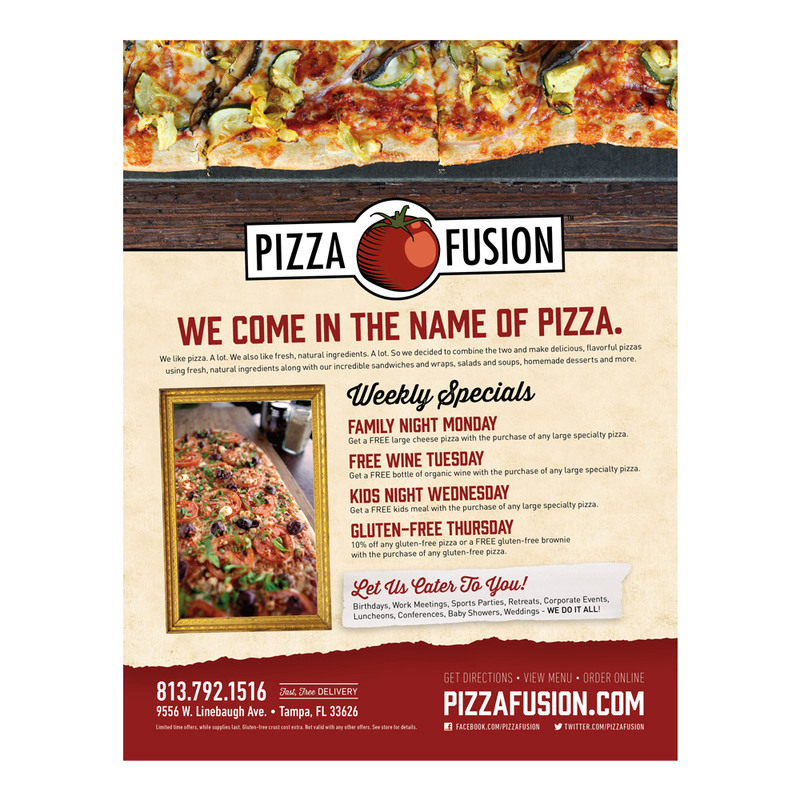 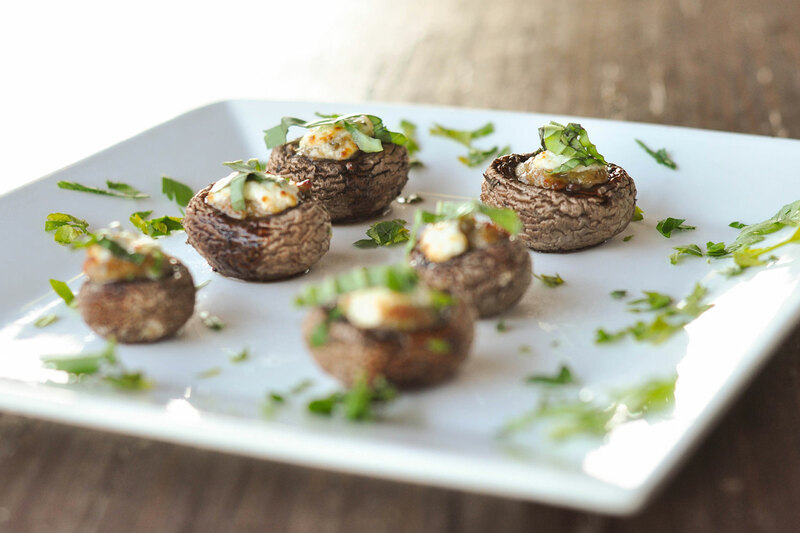 Pizza Fusion is an independent chain of fresh and organic pizza restaurants spanning the southeastern US and the UAE. 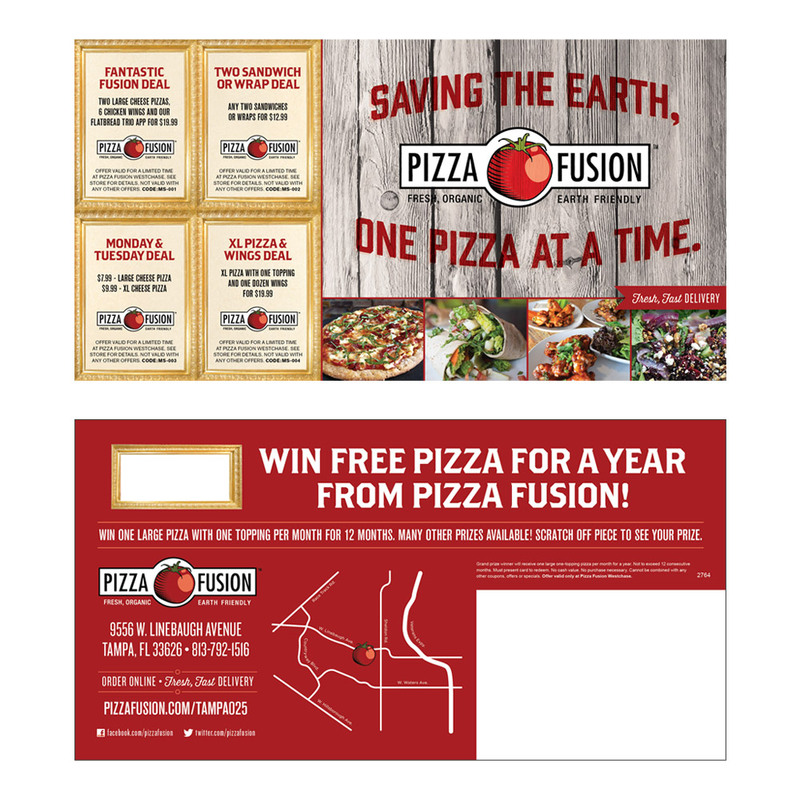 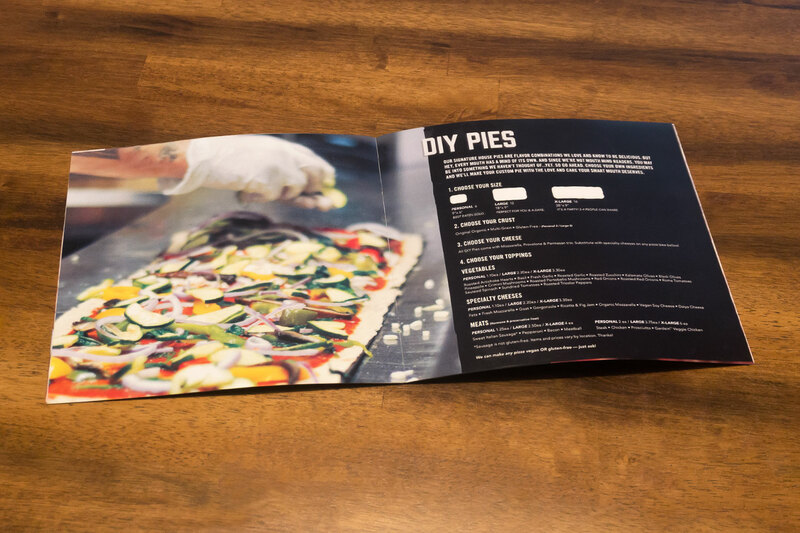 Our first, and longest-running client, we’ve helped them grow from a small, local pizza joint to an international pizza franchise.  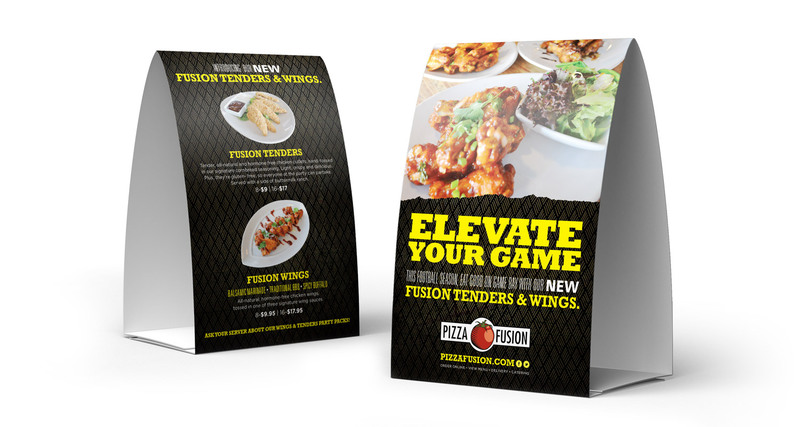 We gave the brand a complete overhaul in 2010, redesigning their entire menu system, along with freshening up their photography and restaurant collateral, including vehicle wraps, signage, table tents, posters and more. 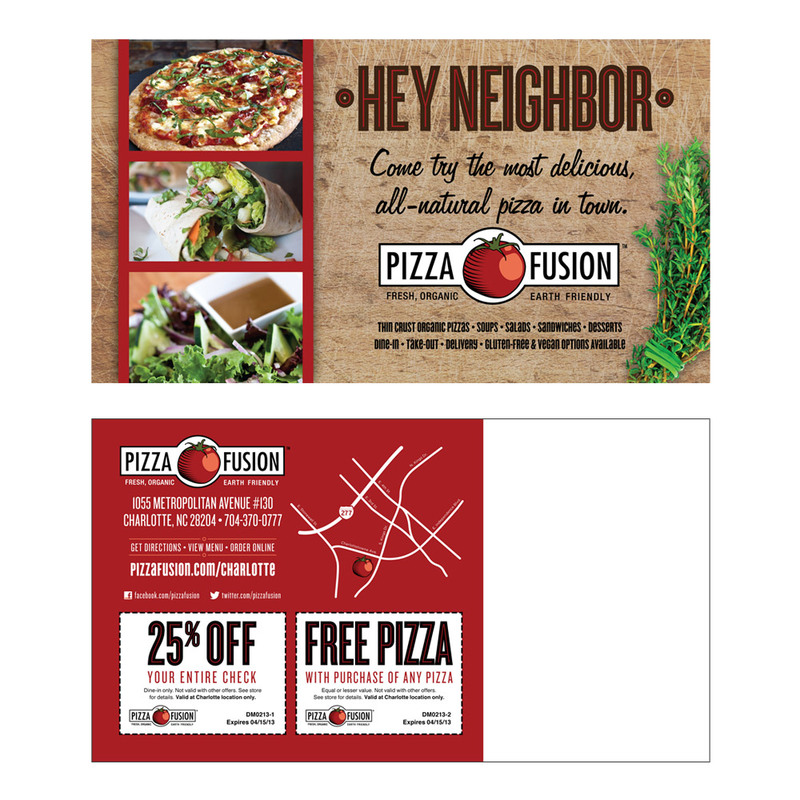 The rebrand, and accompanying targeted direct mail campaign, resulted in a significant increase in revenue for all locations.